An independent education research group found that 99 percent of Idaho teacher evaluations reviewed in an audit were completed incorrectly — and sometimes illegally. 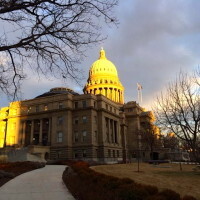 Superintendent of Public Instruction Sherri Ybarra’s State Department of Education asked the Denver-based consulting group McREL International to screen a random sample of evaluations for accuracy and fidelity to Idaho’s evaluations system. Most evaluations did not include two classroom observations, as Idaho law requires. Most did not include goals of any kind. More than one third were turned in late. The SDE has had the report since July. Idaho Education News obtained the report in December as a result of a public records request. Rob Winslow, the executive director of the Idaho Association of School Administrators, said on Monday he has never seen the report and has never discussed the finding with the SDE. Idaho law requires teachers to receive at least one written evaluation every year. The state and most school districts use the Charlotte Danielson Framework for Teaching model to measure teacher performance, and as a basis for evaluations. Principals typically conduct the evaluations, and superintendents include them in reports to the SDE. Superintendents sign an assurance form that they are reporting complete and accurate data to the SDE. Teacher evaluations are increasingly important in Idaho because the Legislature partially tied the reports to a teacher’s ability to earn a raise. Ybarra is expected to ask the 2017 Legislature to spend $57.8 million of taxpayer money to increase teacher pay. Idaho Education News first reported widespread errors and deliberate falsification of teacher evaluation reports across multiple districts in 2015. Districts and charters continued to report false teacher evaluation information the following year. The 2016 Legislature removed oversight of teacher evaluation data away from Ybarra’s office and gave it to the State Board of Education. Lawmakers granted the State Board $600,000 in new funding to audit 2015-16 evaluations. Ybarra has consistently downplayed the scope of errors and insisted the state did not have a problem with data accuracy. She did call for more accurate teacher evaluations in July 2015. Only 39 percent of evaluations included two classroom observations, as Idaho law requires. Just 64 percent of evaluations included one classroom observation. Most evaluations (55 percent) did not include an individualized professional learning plan or goals of any kind. More than one third (34 percent) of evaluations did not include a summative rating, as required. Just 19 percent of the evaluations that were based on the Charlotte Danielson Framework for Teaching included all 22 Danielson components, as required. McREL reviewers noted wide variations in how the districts that relied on Danielson’s framework used it. Just 19 percent used the four-point scale of “unsatisfactory,” “basic,” “proficient” and “advanced.” Some districts ignored the lowest rating, while others ignored the highest rating. Still others used scales that did not align at all with the SDE’s adopted scale. Of the 225 teacher evaluations audited, McREL’s team found that not one single teacher received a rating of “unsatisfactory” in any of Danielson’s four domains. More than one third of the evaluations audited (37.6 percent) were not turned in to the state by May 1, as required at the time. Align the process of teacher evaluations to state and school district polices. Ensure that all teachers, teacher supervisors and central office leaders receive training on the process. Annually communicate to all teachers, teacher supervisors and central office leaders the teacher evaluation process, using specific details about the roles and responsibilities of each stakeholder. Monitor and track adherence to the process to ensure consistent application.